Learn what your credit report is, how it determines your credit rating, and how to find out what your credit score. Your credit report is a summary of how you repay money that you owe and how you handle credit. It generally contains information based on how you have paid loans, credit cards, and lines of credit in the past. Lenders use it to verify information about you, see your borrowing activity and find out about your repayment history. 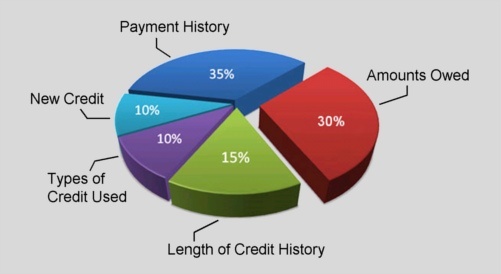 A lot of the information on your credit report is used to determine your credit score. This is one of the most important numbers on your credit report. It's based on specific information on your credit report and is used by lenders to predict the likelihood that you will repay future debt. Your credit score changes frequently and it is up to each lender how they interpret and use your credit score. Your credit score has nothing to do with your income, occupation, or where you live. Your credit score does not have access to this information - and even if it did, these factors are not part of the algorithm that determines your credit score. Someone with a small income who manages their money and credit well can have a fantastic credit score in the same way that someone with a huge income can have a horrible credit score if they don't pay their bills on time. 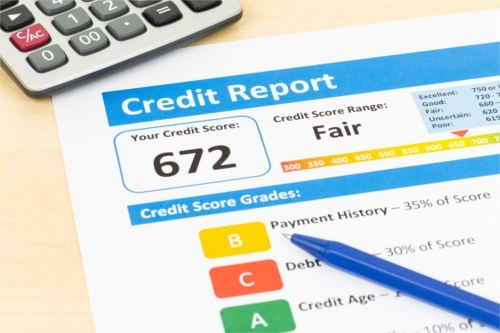 What Does Your Credit Rating or Credit Score Mean? Your credit rating - or credit score - is a number which can range from a low near 300 to a high of 850 or 900 (depending on which company is calculating the score). If someone’s score is 580, it means that 580 people out of 850 are likely to repay their debt. If someone’s score is 780, it means that 780 people out of 850 are likely to repay their debt. The number represents the odds that a lender will get the money back that they lend someone. The higher the number, the better the odds. Find out more about these factors and how they work. You are entitled to have a free copy of your credit report mailed to you once a year. You can also pay for an instant copy too. You can find out how both these options work here. It is important to have a look at your credit report every once in a while to make sure that there are no inaccuracies and that no one has applied for credit in your name without your permission. Normally, the best things you can do to improve your credit rating are to manage your money wisely using a realistic spending plan and deal with your debts. If you need help with either of these things, you can make a free appointment to speak with one of our Credit Counsellors either in person or over the phone. They can help you go over your situation, put together a budget, look at all your options, and then put together a plan to help you get your finances and credit back on track as soon as possible. Appointments with our Counsellors are always free, completely confidential, and non-judgmental. We’re simply here to help you. Give us a call at 1-855-232-4888.